This fun gummy bear candy factory teaches you how to cook, design, and decorate your own colorful jelly candies and desserts! 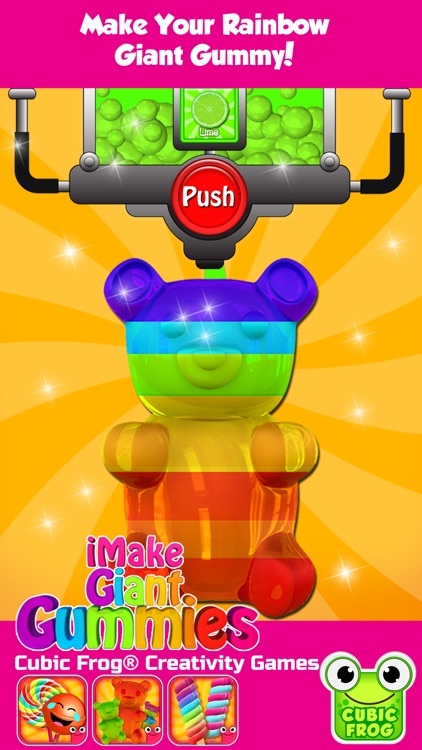 Be creative and make more than 1 million different styles! 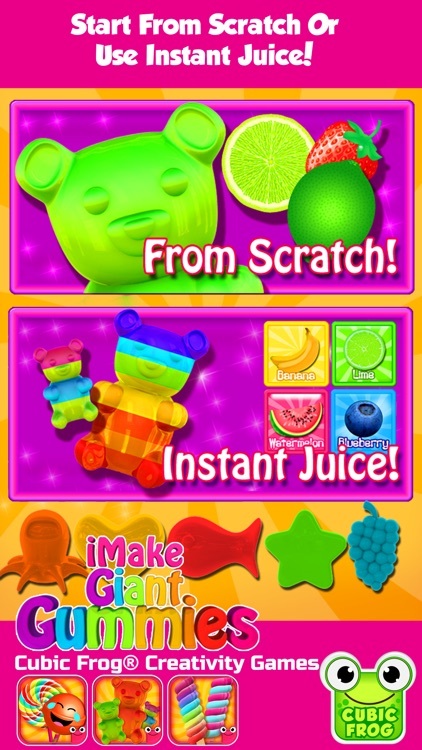 •Slice the fresh fruit in the fruit slicing game! 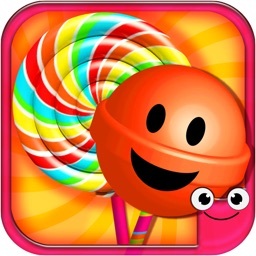 •Choose your Gummy Flavor- Strawberry, chocolate, banana, grape, watermelon and many more! 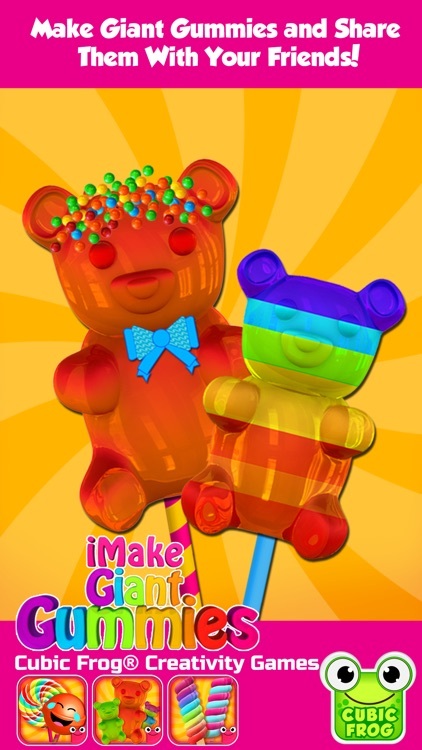 •Choose your Gummy Stick- Colors, stars, hearts, stripes, rainbow, and sparkles! 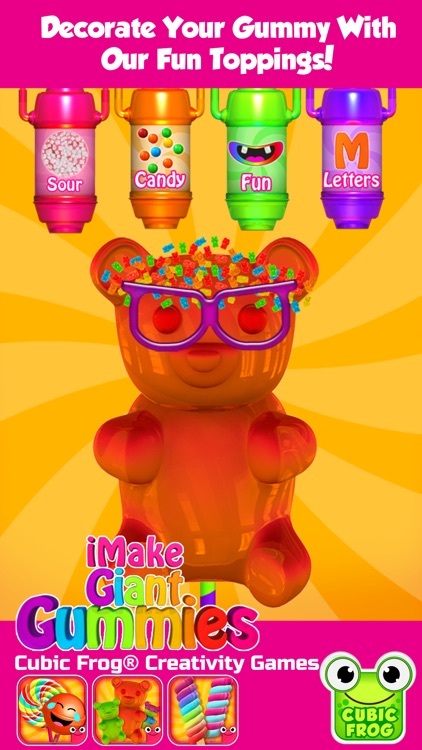 •Decorate your Gummy- Customize your gummy with icings, sprinkles, sour candies, alphabet letters and funny faces! 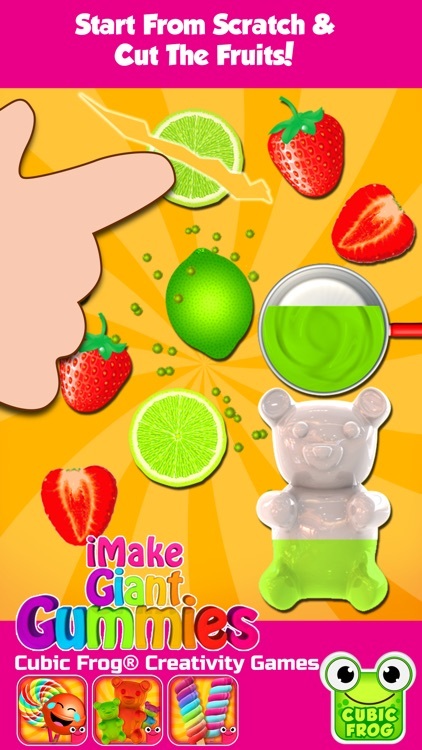 •Tap on the screen to eat your delicious gummy! 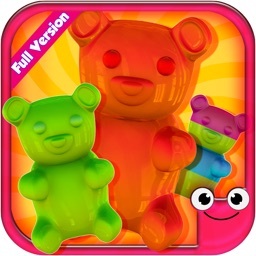 •6 Different Gummy Shape Molds! •44 Different Rainbow Color Candies! •46 Different Fun Items! Funny Eyes, Lips, Bows and Even Spiders! 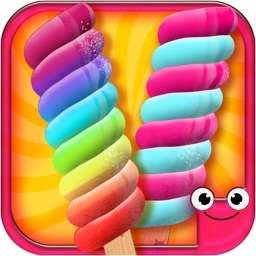 •Amazing Music and Sound Effects!